The 10 year apartment investment loan rate we track eased 5 basis points (bp) this week to come in at 4.53%. 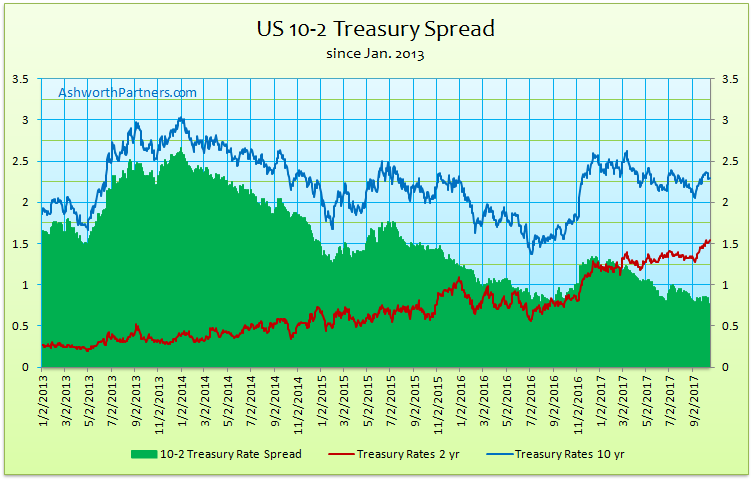 Both it and the benchmark 10yr Treasury (T10) had been rising since early September and the apartment rate had gotten as high as 4.58% last week before backing off this week. Despite so many predictions of rising rates we can see that since the election almost a year ago the T10 and the apartment rate have been in a flat to slightly downward trend. Anyone who was alive during the double digit rates of the seventies and eighties has it almost hardwired in their mind that rates must go back up, right? But with slowing population growth, plunging workforce participation and modest productivity growth it’s hard to see what the drivers of inflation and therefore rates would be. Add on banks getting out of business lending, the perverse incentives for corporations to buy back stock instead of investing in plant, equipment or people and falling commodity prices and it isn’t too surprising that economic growth and inflation remain muted. 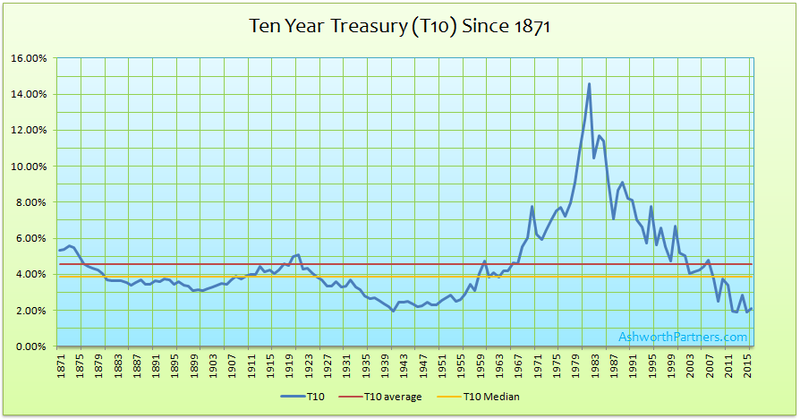 We can see that the T10 median is less than 4% which means that it has been below that point for half of its existence. Recency bias (if we can call the last 35 years or so ‘recent’) must be a play in the minds of those who constantly predict higher rates. The fact of the matter is that we’re just 150bp below the median which granted is near the historical lows but if we were to take out the one super inflationary period starting in the late seventies think how low the median would be.